Have you been wondering what all the fuss is about when it comes to natural pet food and healthy pet products? Going to Petco and Petsmart, I can’t tell you how many times I used to roll my eyes seeing all the ‘natural’ dog foods and holistic pet products. The reason I say this is because if you flip over these bags and look at the ingredients, they look almost identical to other high-end pet foods. For this reason, I wondered why anyone in their right mind would use ‘natural’ dog and cat food? Did they just have that much money to waste? I was taught early that you feed dogs and cats food made just for pets. They certainly don’t need table scraps, especially since onions and garlic, common ingredients in many cooking styles, are deadly to pets. Yet, my family never had a problem sneaking certain veggies to our pets, as well as special goodies during holidays that were animal safe. For some reason, these safe vegetables and meats are what I expected pet food to be made from. I really didn’t know the truth until recently, when my cat Lucie started having an allergic reaction to something. Since we are away from home in New Jersey, due to my husband’s work, she has been visiting grandma and grandpa, along with many of our bearded dragons (natural food for them is easy – they’ll only eat live insects and leafy greens). Since the vet there has not been able to determine her allergies, she has been on regular steroids and allergy shots. As you can imagine, this has meant a very unhappy kitty. To try and help her, I started doing research on allergies and talking to other vets online. What shocked me was that the answer seemed simple to many of them – she’s allergic to wheat and/or corn. Finding food just for pets with allergies couldn’t be that difficult, right? Wrong! Virtually every pet food on the market contains these ingredients. As I was searching for healthy pet products, I started digging deeper into Wikipedia and a number of animal-wellness websites. As I have come to find out, most commercial food made just for pets comes from things I consider unfit for animal consumption. Many of the ingredients are the parts of animals the FDA considers unfit for human consumption, or sick animals. 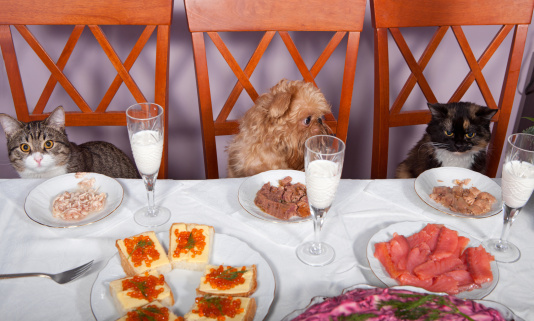 If this wasn’t bad enough, dogs and cats are carnivores – meaning they (should) mostly eat meat. This means their bodies have issues processing wheat, corn, and rice, causing allergic reactions and poor health. Looking at your dry food, you may have noticed that these are usually in the first five ingredients -making it the majority of their food! With the empty calories in corn and rice, this is the equivalent of eating junk food all day! I would never put junk like this in my body, so why would I want to do this to my pets? Like me, you are probably sitting back and thinking – “but there are laws about pet food, right?” I hate to burst your bubble, but commercial pet food is not government-regulated at all – the industry is purely self-regulated. In other words, they answer to no one but themselves when it comes to pet food quality standards. Over time, I plan to be releasing articles on different types of food, including some of the pet food brands that are supposed to be more nutritious, and different ways to make healthy pet food products at home, too. If there is a food you would like to see us review, leave a suggestion below and I will look into it. I’m curious what other people have found, and very much interested in the alternatives for my Lucie too! 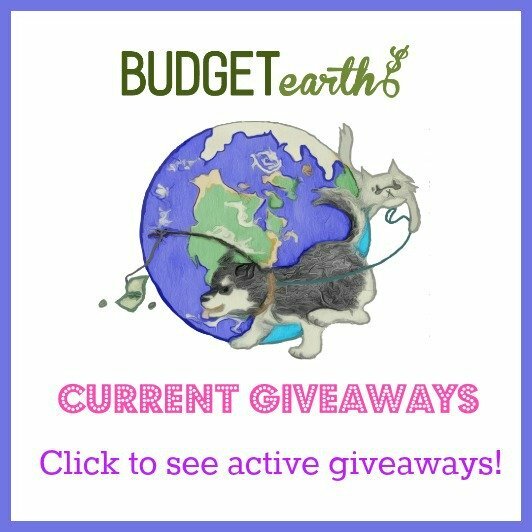 Budget Earth & its writers did not recieve compensation or products from said company for this post and it’s completley the opinion of the writer. Thanks! We are so happy you liked the article and our site! I have been reading many of your articles and it’s pretty nice stuff. I will make sure to bookmark your site. Great post! Very informative in helping me to finally decide to switch my cat over to natural food! thank you for this series! Such an important topic for animal lovers! I need some natural food for my kitty. Thank you for the post. It is so important to protect our fur babies. I have been looking for natural cat food for my 6 month old cat. I feel natural food is the best option for pets. Today i discovered you blog, and it is awsome! i found some interesting and usefull things here! Thanks for this post, i have 2 dogs, i love them very much and obviously,their health is very important for me ! Thanks for this good advices! Thanks so much for this article. I have 2 cats and 3 dogs and they are all my babies and I only want to help them not hurt them. I was not aware of the food being like junk food. 1 of my dogs has allergies really bad. Thanks again. Great article. My cat has been suffering from a virus his whole life and supplements don't seem to help. Maybe a natural diet would improve his situation. Generally I do not read article on blogs, but I wish to say that this write-up very forced me to take a look at and do so! Your writing style has been surprised me. Thank you, very great article. I just shared this with a canadian friend. Thanks!